The Pilates Reformer is a versatile piece of equipment that addresses every part of the body. Springs of varying strengths provide resistance and support for exercises which include isolated arm and leg movements, along with more complex exercises utilizing the whole body. 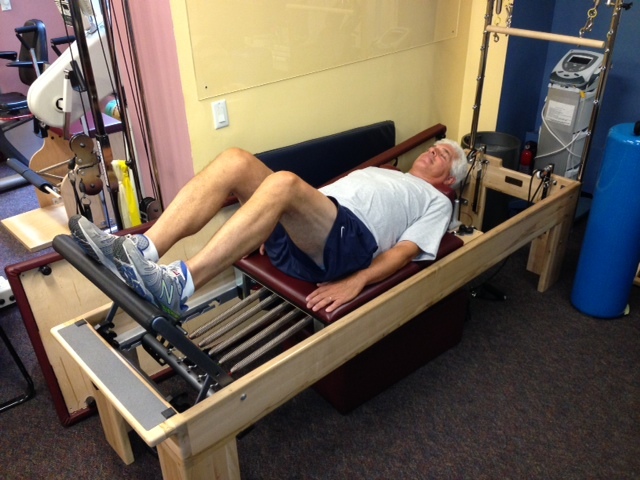 Sutton Place Physical Therapy offers Pilates in a private setting with Daniel Case. Daniel is Pilates Certified with over 7 years of experience, and while working as an aerialist, stunt acrobat and performer he has remained uninjured. A one on one session with Daniel provides an energizing and informative workout while improving strength, flexibility, coordination, balance and posture. Our clientele include children, business professionals, weekend warriors, and active seniors. All have one thing in common, to build their strength, agility and the mind/body connection.